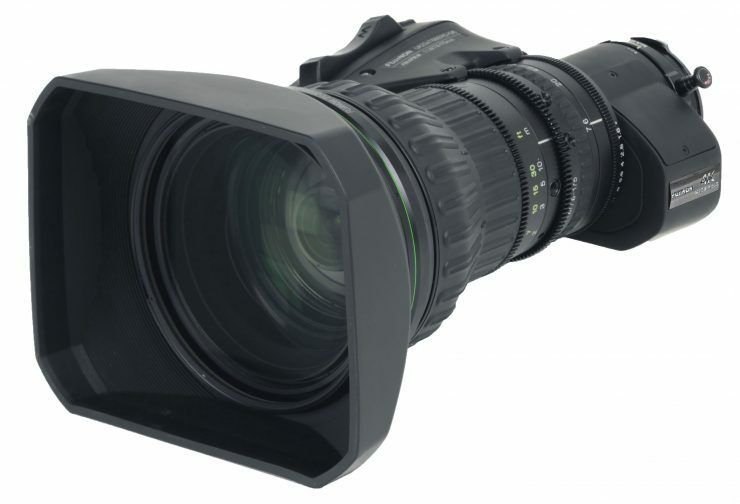 Fujifilm has announced a 4K UHD Zoom with a 8-1000mm Zoom Range as well as two other UA Series UHD 4K lenses. The new UA125x8 features a 125x high magnification zoom that covers a whopping focal range of focal 8mm~1000mm, all while maintaining a constant F1.7 aperture. 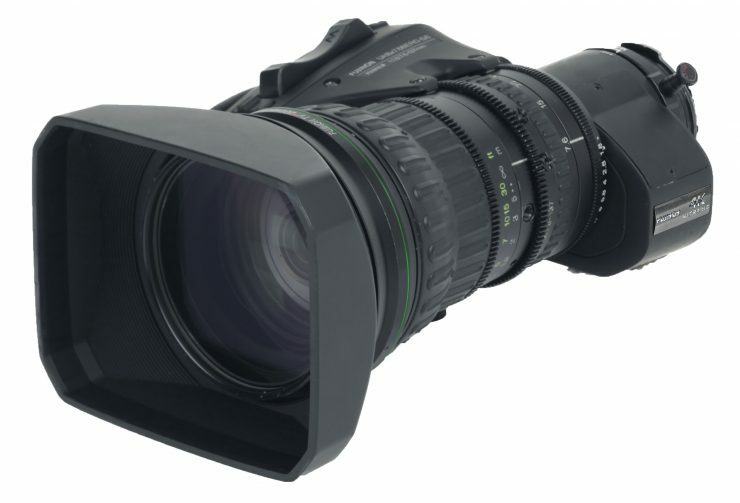 The UA125x is the longest and widest 4K lens for Ultra HD applications that Fujinon has ever made. 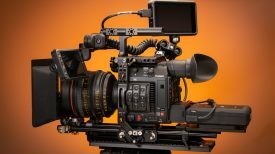 Like other lenses in the UA Series, the UA125x is designed for 4K UHD capture from today’s new 4K 2/3″ Ultra HD cameras. 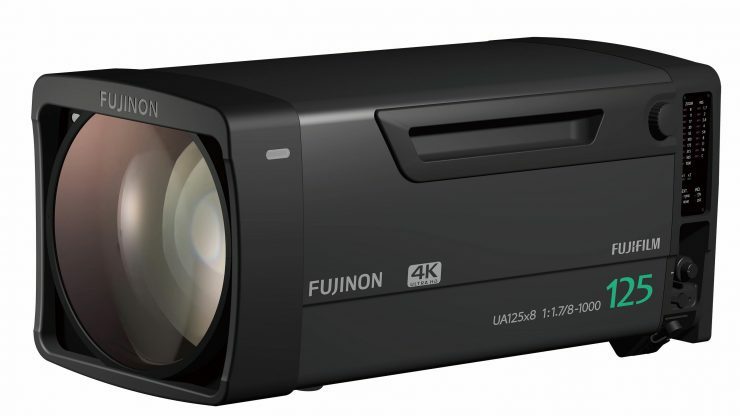 The UA125x zoom is claimed to have high resolution, high contrast, high dynamic range and Fujinon’s patented optical image stabilization technology, the UA125x. 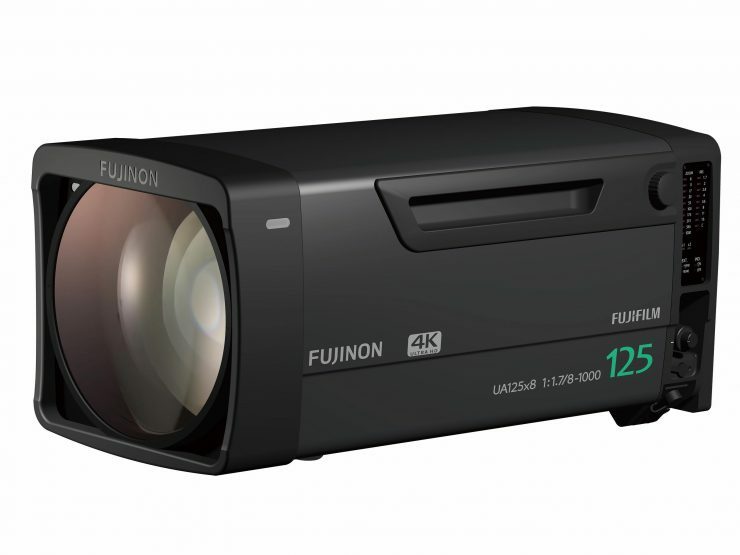 With a constant F1.7 aperture, virtual reality connections, and 16-bit encoders, Fujifilm is hoping that the UA125x8 will soon become the standard for 4K UHD and HD production worldwide. The UA125x8 employs the latest High Transmittance Electron Beam Coating (HT-EBC) that is said to result in richer colors and greatly improved blue response and transmittance. HT-EBC, coupled with Fujifilm’s Aspheric Technology, is claimed to reduce ghost and flare, while increasing light transmission. A proprietary anti-fogging design minimizes lens fogging and reduces downtime due to moisture—a critical concern when shooting in all types of weather conditions. 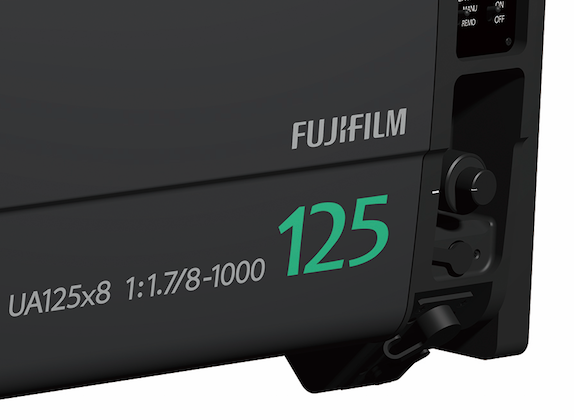 Designed along the same parameters of the UA107x, UA80x, UA70x and XA99x, the UA125x will have the same Quick Zoom, two-shot presets, and 2x extender. The new UA18x7.6 is a compact and cost-effective lens designed for a range of applications, including sports, house of worship, and entertainment productions. The UA18x7.6 features a 7.6~137mm focal length plus a 2x extender with a constant aperture of F1.8. It is relatively low weight tipping the scales at 1.58kg (3.5 lbs). The UA23x7.6 is an economical 4K telephoto zoom designed for studio and field production. The UA23x7.6 has a focal range of 7.6~175mm plus a 2x extender, all with a constant aperture of F1.8. It weighs in at 1.9kg (4.2 lbs). 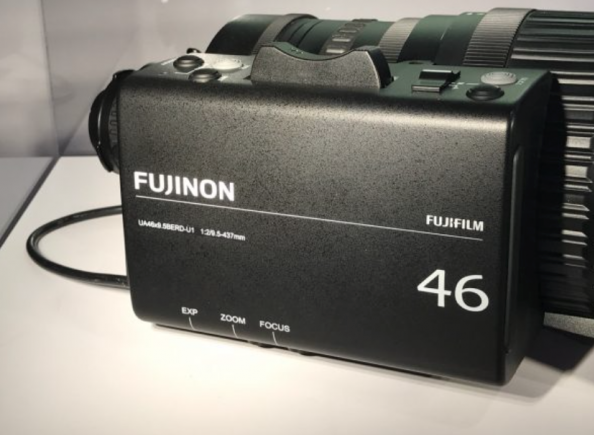 At last years NAB, Fujifilm showed the UA46x9.5. 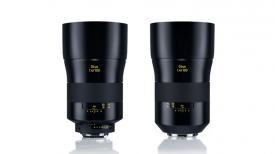 That lens is now available and will also be on display at this year’s NAB. 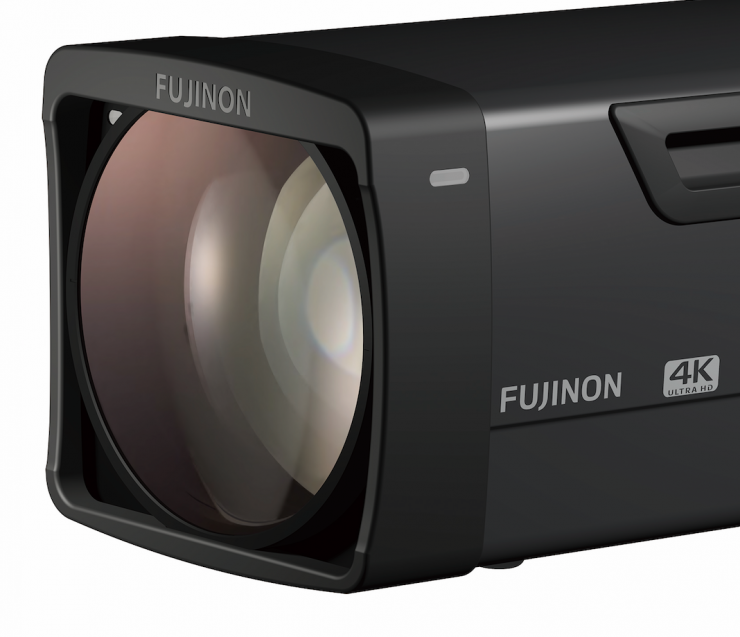 The lens features an OS-TECH image stabilizer that Fujifilm claimes provides the most advanced image stabilization for a lens in this class and makes the UA46x zooms ideal for sports, wildlife, and documentary production. 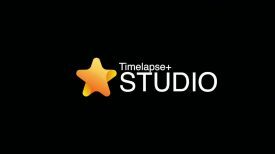 Versions of each lens are available for studio, wildlife, remote-control and gyro-stabilized productions. The UA46x9.5B features a 46x zoom ratio and a wide angle from 9.5~437mm (19~874mm w/2x) with an F2.0 aperture. The “Tele” version UA46x13.5B lens also features a 46x zoom ratio and a telephoto reach from 13.5~621mm (27~1242mm w/2x) with an F2.8 aperture.